This Week: Maria Watches Over Us Season 4 (Maria-sama ga Miteru 4th). Under normal circumstances I would have waited a bit after doing the third season last week. But I wasn’t about to trust myself to avoid slamming into spoilers much longer. …ok, I think I’ve got an angle on this. As expected last week, this set of episodes was primarily focused around Yumi and Yoshino’s attempts to each acquire a little sister. Now, there are two ways the series could have chosen to go about this process. The first would be a harem style approach with a number of prospective partner options presented equally, and the focus would be on Who our girls chose. The second would be a more linear direction, with the potentials streamlined early on and the series arc then turns to the How or Why. Be it due to the source material, the directing chair change (shifting from three season helm Yukihiro Matsushita to Toshiyuki Katō), or a combination of the two, the show graciously opts for the latter. It is a great look for the show to wear. Right from the get go, the more carefree opening credits sequence is in stark contrast to the classical and straight-laced ones of the previous three. While still keeping in tone of the series and characters, it is an indication of confidence. In many respects, the onus this season is on everyone coming into their own more than ever before. We are beyond the more top down and steady construction approach of the initial two seasons, and the vacation-like season three. Folks like Sachiko and Rei, as third years, begin to fade more into the background. The scaffolding for the likes of Yumi and Yoshino, essentially, is coming down as we set upon what they have come to learn and what they see fit to be willing to fight for as individuals. Their confidence and sense of self, how steady are the foundations they have come to possess, and so on. The ability to better stand on their own in their drive to be able to be the big sister to another, and if it will all go to hell or not. This confidence factor plays into the series in another way, which I do mark down more to the directing shift. While the drama in these episodes is as present as ever (also the most crying as well), it does not hit the same notes previous seasons hit at times that threatened to force it off into the tricky melodramatic shark tank. Sequences that would have in another season seen use to mark the end of an episode are here instead amongst the beginning of a final scene. It allows for a series of richer and more fulfilling fades to the credits, to better be in those moments. It is more honest, I feel, in execution. Naturally, one only would have made it this far into the franchise if they were committed and ideally enjoyed the previous seasons. But I do think this is the best the series has ever been. The focus on a more direct narrative keeps it in check from falling flat on its face by reaching beyond its limits, and it is by this point where it can best embody those maturity and guidance messages that do live at the heart of the entire soeur system. 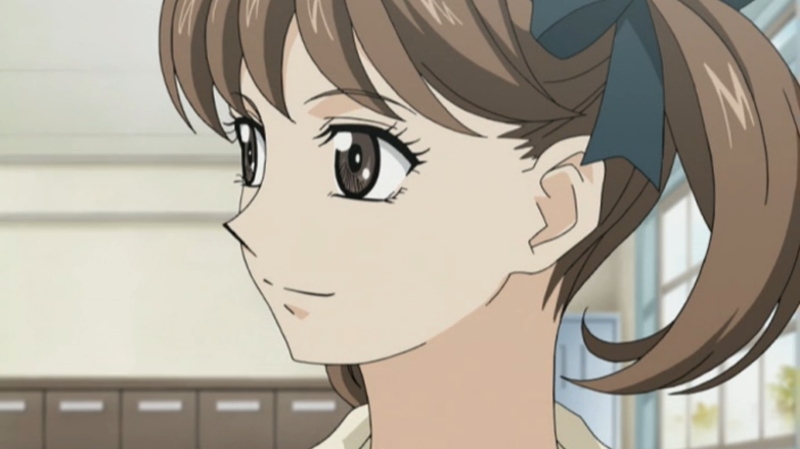 For instance, first year Noriko has been with our cast for quite a while now as Shimako’s little sister, and with that time she is thus fiecer and her direct style often gives even better than she gets. She is more comfortable and more open with the friends she has gained since season two, with increased screen presence to match. Being able to walk through Yumi’s, and to a lesser extent Yoshino’s, issues and stresses regarding their little sister situations brings everything full circle to where the show started. In our initial season, things were more alien and confusing. We were at the bottom looking up, and there seemed to be a lot of rigid downward pressure. 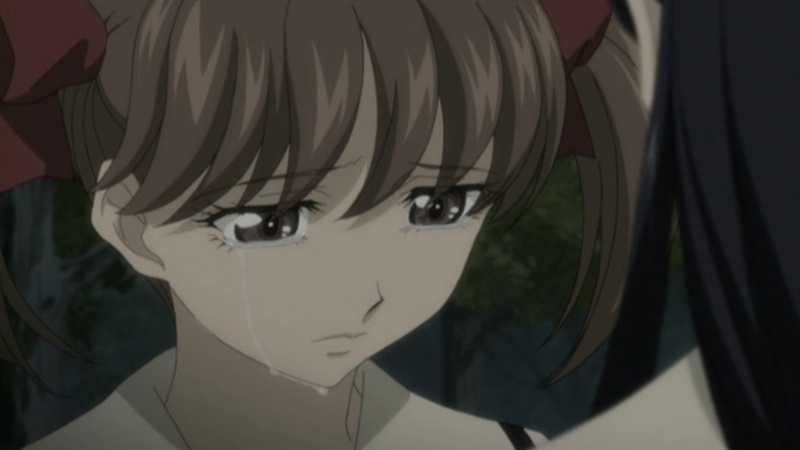 We also were more told what Sachiko had gone through leading up to and including selecting Yumi in those original episodes, rather than getting to experience her tribulations so much in full. With time, we have learned more of the ins and outs of the school and system, and worked out a degree of comfort with it all as things have shifted in the evolving landscape and as personal situations have come up. Now we are on the other side of the coin, and aim to see these selection processes from the second year point of perspective as thoroughly as we can in the time allotted and what pressures it puts on them. The series ends at what would seem to line up with volume twenty nine of the light novels. As of right now, there are ten additional books in the main series after that. The question then becomes, I suppose: does the anime conclude in a satisfying way? I think it does. Yoshino does not get the same level of screen attention as Yumi in her soeur search, so we do see far more of one story than the other. But I do not feel this hurts the show, and the extra attention on our lead character I find warranted anyway. Finishing this way, with the more linear season, does allow it to have a conclusion that stands more poignantly and well delivered. It is a treatment of respect and appreciation for those who made it so far and value their considerations towards these characters and the franchise as a whole. It is possible this 2009 series may be the last season of the anime to be produced, so this attention I find extra appreciable. At the end of the day, I trusted in the series to grow after my initial positive but stilted foray. Here I am now, so many seasons and episodes later we have learned a lot about each other and grown together. We are friends. And I feel that is amongst the highest complements a series like Maria Watches Over Us can really have. That is rather valid though – If it wasn’t for the (ice age gradual) forward momentum of time, this would very easily be a Girls Doing Things program. Having tea in a very literary and mannered religious academy, but still; I would have to imagine much of any thematic bites it does have would just be completely deflated without the maturity and coming of age threats of things like graduation and the like. The shoujo-ai and yuri aspects were ones I know I didn’t really touch on too terribly much despite having four posts on the show, but that certainly was something I respected it for as well. To the point where bringing it up mostly slipped my mind entirely after the initial season! Which is to its complements on one level, to compel me to just go a tear and talk about various relationships without feeling much of a need for genre terms. But looking back on these, it is also probably the one thing I would also want to talk about more directly were I to ever write a future post involving the series. I had to write extensively about the show for the chapter in my PhD specifically on yuri, so I guess I automatically think of that topic right away whenever I see/hear the title. (I certainly won’t be watching the series again any time soon, that’s for sure!) 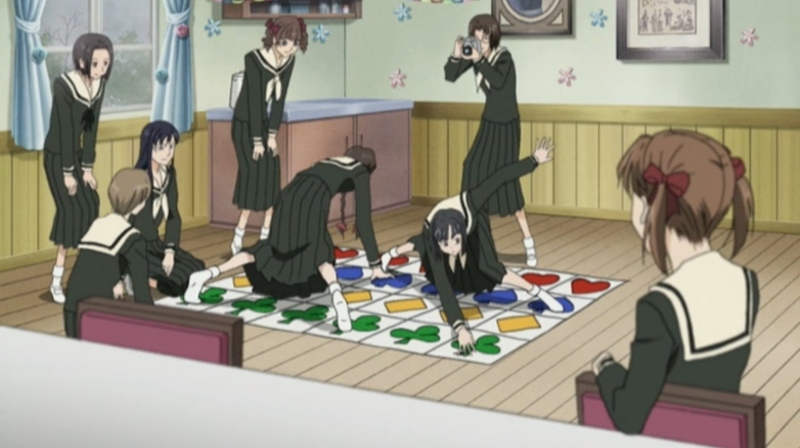 But I get what you mean – Maria-sama isn’t first and foremost a yuri anime so much as it is one about the relationships between the young ladies of its cast, from platonic-romantic to pure friendship and the odd rivalry or two. Pinning it down as just a yuri anime would be doing the series a great disservice, so I don’t think people necessarily need to talk about the yuri aspects in order to properly review it.